Right around the time William Hanna and Joseph Barbera helmed their last Tom and Jerry cartoon in 1958, MGM's animation studio closed down and the Hanna-Barbera team was off to greener TV pastures with The Huckleberry Hound Show, The Flintstones. The Jetsons, and countless others. Four years later, Tom and Jerry was offered to American animator Gene Deitch, who had recently relocated to Prague and directed more than two dozen Popeye the Sailor shorts between 1960-61. 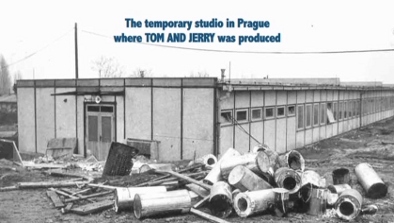 Deitch eventually directed 13 Tom and Jerry theatrical shorts during the next two years, animated at Rembrandt Studios in Prague for a fraction of the cost of Hanna-Barbera's lavish output. 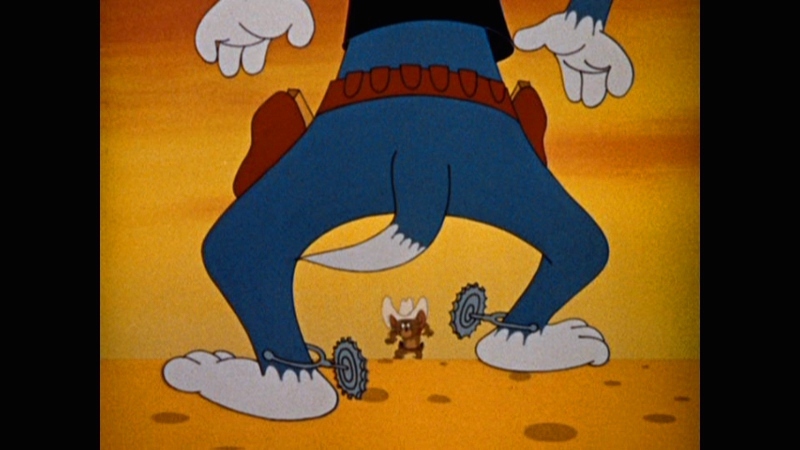 Of course, that wasn't the only obvious and immediate change: Deitch was a not a fan of Tom and Jerry and his animation team had never seen a single episode, as the bulk of Western media hadn't made it past the Iron Curtain. Amazingly enough, the resulting 13 shorts were (a) not complete disasters and (b) popular during their original release. 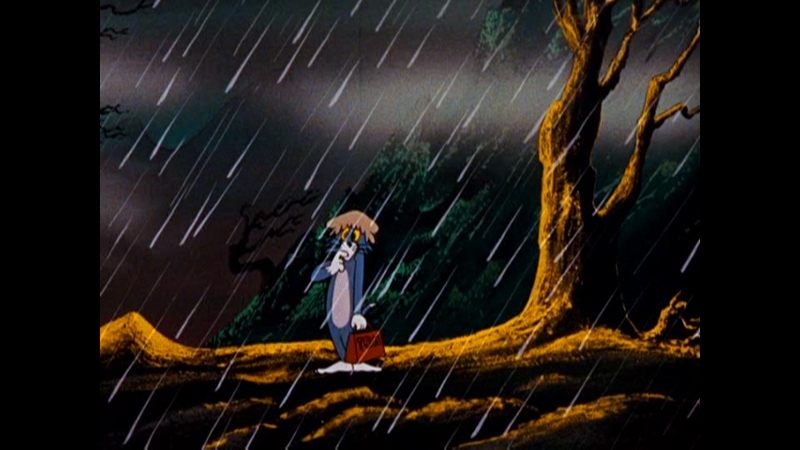 But Deitch's tenure didn't last long: by 1963, animator Chuck Jones (recently fired from Warner Bros.) was placed in the driver's seat and directed 34 theatrical shorts during the next four years. For a time, though, Tom and Jerry went off the deep end: Deitch's version of the cat and mouse duo featured a distinctive visual style, nightmarish supporting characters, odd locales, and even a bit of narration now and then. But everyone wasn't so kind: back then, Deitch received his fair share of complaints about his take on the series (even a death threat), and popular opinion skewed sour in the minds of most fans and critics during the next several decades. Most die-hard fans don't think very much of "the Deitch years"...but if I'm being completely honest, they're every bit as valid as Chuck Jones' output. The Hanna-Barbera years still win by a landslide...but for my money, the silver medal's a toss-up. Warner Bros.' long overdue DVD release of The Gene Deitch Collection collects all 13 shorts on one disc, similar to 2009's well-rounded Chuck Jones Collection. They've been lovingly remastered, highlighting Deitch's distinctive visual designs and the eye-catching backgrounds that showcase Tom and Jerry in a mad scientist's castle ("Switchin' Kitten), ancient Greece ("It's All Greek to Me-ow"), aboard a cruise ship ("Calypso Cat"), The Old West ("Tall in the Trap"), at the Metropolitan Opera ("Carmen Get It"), and much more. Even the original mono audio sounds great; Deitch allocated a lot of the limited budget to make use of a full orchestra, even though the oddball sound effects and sporadic voice mutterings of Allen Swift still stick out like sore thumbs. At the end of the day, it's just nice to finally have these weird, wonderful, and wacked-out adventures on shiny plastic disc...even if some of them stink. Presented in an unmatted 1.33:1 aspect ratio (unlike the cartoons found on The Chuck Jones Collection, which were matted to 1.78:1), these newly remastered theatrical shorts look fantastic from start to finish. The bold color palettes (especially seen during Switchin' Kitten and The Tom and Jerry Cartoon Kit, to name a few) are extremely vibrant with no obvious signs of bleeding or digital tweaking, while image detail is extremely crisp and black levels hold up nicely. Film grain is plentiful without feeling intrusive, and no other flagrant digital issues---banding, compression artifacts, ghosting, etc.---were spotted along the way. I'd imagine that most Tom and Jerry fans haven't seen these shorts in years, aside from compressed YouTube clips or the occasional rerun, so these high quality transfers offer dramatic improvements. Aside from the lack of a Blu-ray option, I honestly can't think of anything to complain about here. DISCLAIMER: These compressed and resized screen captures are strictly decorative and do not represent DVD's native 480p resolution. The Dolby Digital 1.0 audio is less ambitious but, likewise, represents the source material faithfully. Sporadic monologues and narration sound crisp, as do the unconventional sound effects and excellent orchestrated score. None of these elements fight for attention, but there's obviously a limited dynamic range inherent to this source material that makes it feel exactly like...well, animated shorts from the early 1960s. Nothing less, nothing more, as it should be. Optional English, French, Spanish, and Thai subtitles have been included during all 13 shorts but not the extras. Typical of Warner dsics, the menus are either painfully bland or simply replicate the cover artwork...but at least they're gimmick-free and easy to navigate. 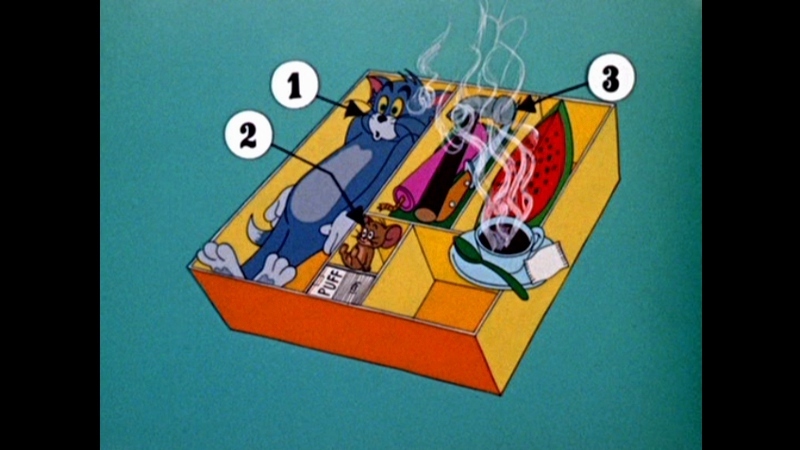 Separate options are available for cartoon selection, subtitle setup and bonus features. This one-disc package arrives in an eco-friendly keepcase along with a nice fold-out insert (partially seen above, and also featuring an overview and comments by Gene Deitch) as well as a matching slipcover. 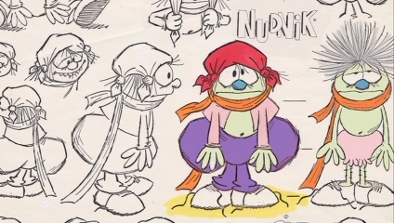 Two featurettes help to put these cartoons into proper context for casual fans. "Tom and Jerry...and Gene" (18:07) features Deitch prominently; you can't blame the guy for being defensive during the bulk of this interview, considering the critical response towards his shorts during the last few decades. Among other topics, Deitch speaks about working with Joe Vogel, the Iron Curtain, his UPA background, the difference between Czech and American animation, puppet theater, creative corner-cutting and "limited animation", critical backlash (including a death threat), and more. We also get a look at early sketches, vintage photographs (both seen above), and a few storyboards. "Much Ado About Tom and Jerry" (18:53) is a broader look at the cat and mouse duo, from Hanna-Barbera's original run through the Deitch and Jones years, including 1990s revivals like Tom and Jerry Kids, the 1992 movie, and more recent theatrical shorts including "The Karate Guard" (2005), Joseph Barbera's last stab at T&J before his retirement and 2006 death. Barbera is also seen briefly in an interview, which leads me to believe this featurette is about 10 years old. 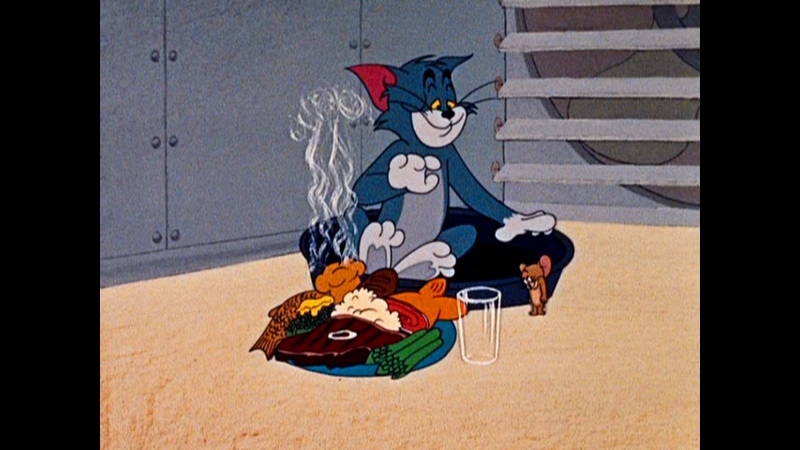 Narrated by Peter Thomas, it's an interesting but loosely related effort that fans should enjoy...and, as far as I know, has not been included on any other Tom and Jerry discs. Frustratingly enough, optional English subtitles are not offered during these featurettes...but they are included during the mostly dialogue-free cartoons. If you're a casual fan of Tom and Jerry, blind buying The Gene Deitch Collection will be a...unique viewing experience. Those familiar with this infamous 1960-62 run of theatrical shorts have no doubt made their minds up already, either by immediately pre-ordering this disc or avoiding it like the plague. 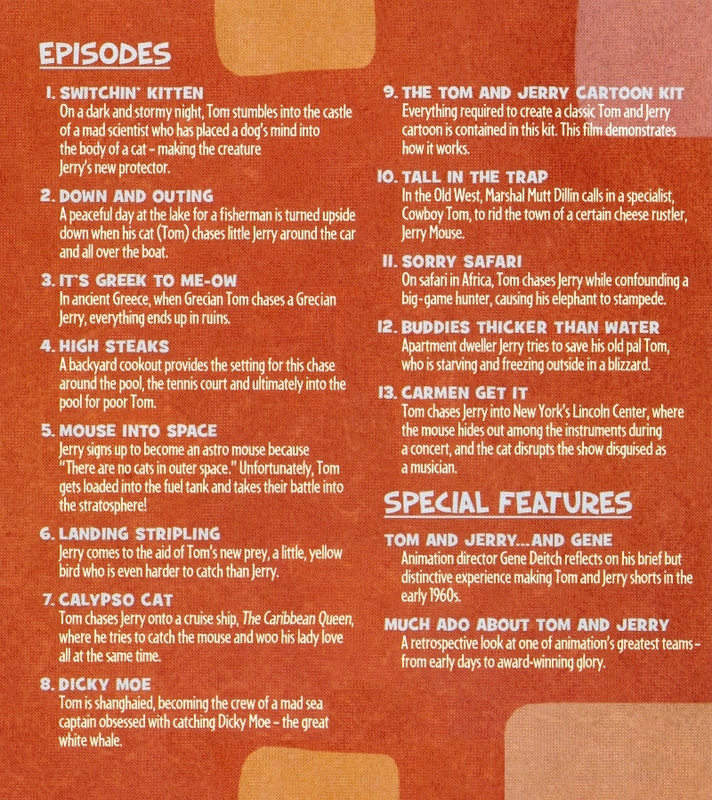 I'd imagine that very few would place any of these 13 cartoons near the heights set by Hanna-Barbera's landmark original run...but in my opinion, they're every bit as valid as Chuck Jones' later shorts with a similar hit-to-miss ratio. Warner Bros.' long-overdue DVD serves up all 13 remastered 'toons and a few thoughtful featurettes, one of which features Deitch in a recent interview sharing his thoughts and archived materials. Sure, most of us would rather have another Golden Collection Blu-ray release of the Hanna-Barbera material...but these are all new to disc and I'm glad to finally have 'em. Recommended.